The reason for which something is done or created or for which something exists. And it's a loaded one. There is a reason why we want what we want. But how many of us actually take the time to actually investigate it? We all long to make a difference. Some of us actually do go out and make a difference. But many of us don't. Sadly, those who don't have been lured into thinking that the purpose of life equals holding power, acquiring status, accumulation of wealth, and possessing as many material things as possible. And when they finally achieve those things, they still feel that something is missing. There's that little void inside that just can't seem to be filled. It's the itch that's in that hard-to-scratch spot...close enough to be just out of the way. 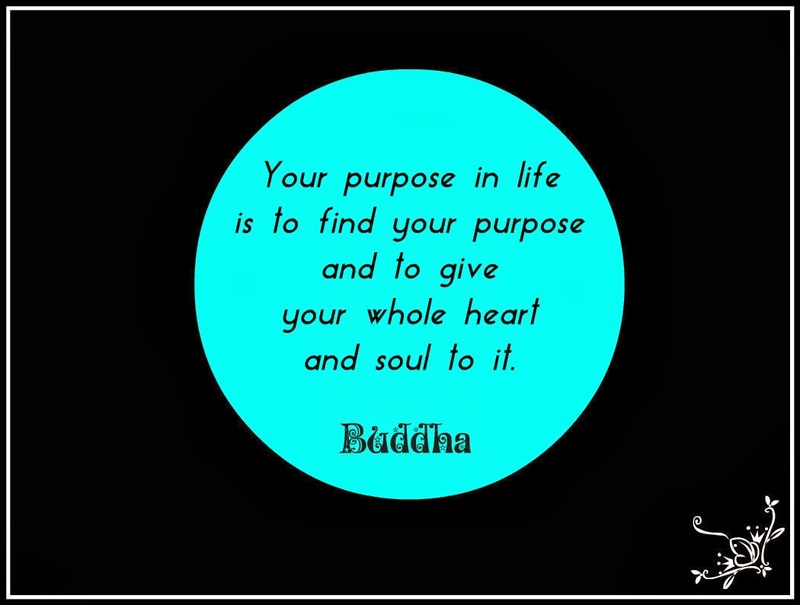 Our purpose has nothing to do with our outward life. It has everything to do with our inward life. It's about discovering who we really are and living authentically, not by society's or someone else's definition of who we should be. 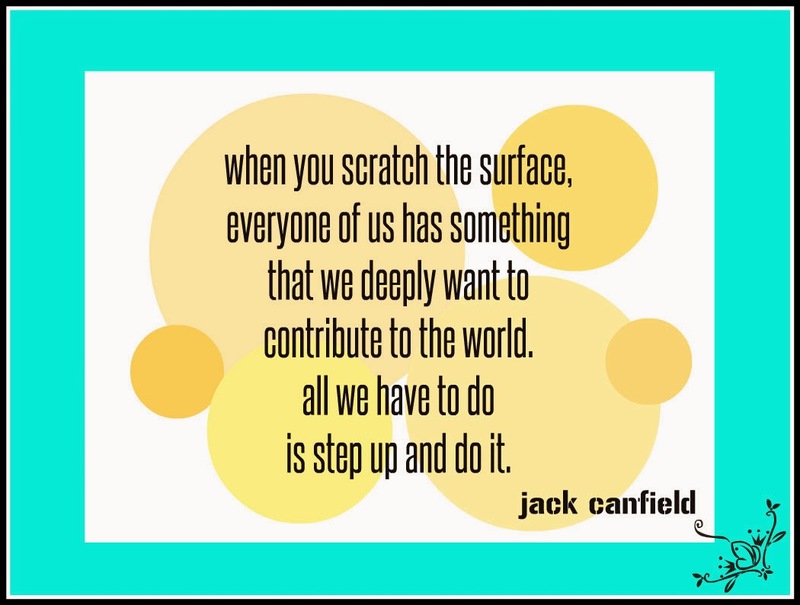 As Jack Canfield, author of the Chicken Soup For The Soul series, says, "All we have to do is step up and do it," when it comes to claiming and living our purpose. Success is not limited to the list of boxes that society expects us to check: education, marriage, kids, career, retirement. To live with purpose means to be connected to purpose. It means living from the inside out, not the outside in. It means living a spiritually-based life, rather than an ego-centered one. It means letting your life speak to you, rather than forcing it in the direction the ego demands. It's about listening to an inner calling, not an outer one. Your purpose is seeking you as much as you are seeking it. Only when we remove ourselves from the distractions of the world do we hear it. Embracing and valuing silence will allow you to connect. Without silence, you will fall prey to your ego, believing that it (and all that it wants) is your purpose. Silence creates the space for authenticity to bubble to the surface. To discover your purpose, be open to the non-logical. Purpose lies beyond all logic and reason. Get comfortable with emotion, intuition, sensitivities, and impulses. Get accustomed to not having all the answers, but trust that the universe will provide them when you are ready to hear them. Your purpose is not static. It is as fluid and dynamic as the Spirit that created you. Your purpose may change over time; it evolves as you evolve, as you grow and learn. Your purpose is yours for the taking. Discover it. Claim it. Value it. Do it. Ready to scratch that itch? Remove yourself from the day's distractions. Turn off the TV, the radio, your phone and anything else that makes noise. Take the day off. Send your spouse or partner to work with a kiss. Hugs the kids as they head out to school or to their favorite aunt or uncle for the day. Ask for spiritual direction either through prayer or meditation, then begin a self-inventory. What are your likes and dislikes? When you were a child, what did you want to be when your grew up? Why? Ask, Am I happy and fulfilled? If you could be doing something else, what would it be? Why? What do you love to do? What steps can you take to begin the process of change? Let the silence speak to you. Your heart knows what it wants. Your answers will be revealed by how your heart feels, not what your mind thinks. When you're finished, create a new "business card" for yourself. Instead of a job title, write your purpose in 3 to 4 words only. Mine says Director for Spiritual Living. On the back, write out an affirmation, draw a special or personal symbol, or a short prayer about your purpose. Mine says, "My purpose is to help others grow spiritually." Next, craft a spiritual resumé based on your self-inventory. Be sure to include your objective and the life experiences that "qualify" you for your new purpose in life. 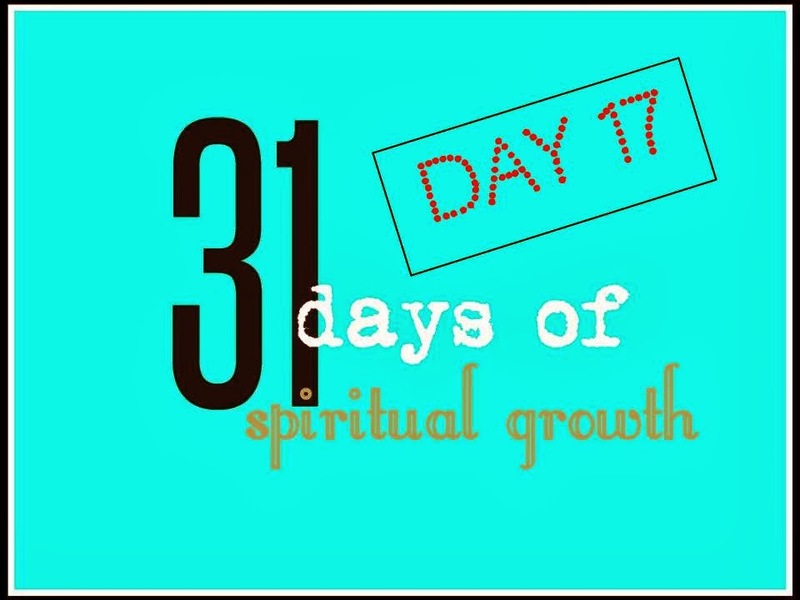 Read the introduction to 31 Days of Spiritual Growth here, and find links to each post in this series. Again, this is another beautiful message today. There is a biblical passage that this reminds me of from Romans 11:29 - "For the gifts and calling of God are without repentance." This means that God (The Infinite Intelligence) has placed within all of us unique gifts that we are here to bring forward into the world, and they are never withheld by God. They are only withheld if we ourselves withhold them. Out of fear of failure, perfectionism, not wanting to make a mistake or even fear of being successful - our fear of being great. I love your Spirit Work exercise today! We should all strive to be great by bringing our full potential into the world. Great connection to Romans 11:29. We each have a unique set of gifts to be used in the world for the highest good of ourselves and others. Rather than tear each other down, we are to build each other up with those gifts that we have been called to use. Thanks so much for stopping by and sharing. I always appreciate your comments and insights. My purpose is to help others create a healthy and balanced lifestyle that is in alignment with love, joy and well-being. You get an A+, Gena! What a wonderful post! I like how you make exploring our purpose and passion fun, nice job! My business card would read: Guide for Food Relationship Transformation. My purpose is to help others release weight without dieting, and live life where food no longer controls them! Thank you! I believe part of our spiritual growth involves having fun. I LOVE your business card and your purpose...your guidance in this area is surely a gift to those in need of repairing their relationship with food and themselves. I appreciate your thoughts. Thank you so much for sharing them. If we don't let things go to God, we hold back the universal energy that will heal those things. Not letting go is not trusting. I'm so happy that you are viewing life through spiritual eyes. It gives life a whole new perspective. I'm glad that I was able to help you along in your journey. Sending you love and light, my friend. Follow by Email - It's Free! Mountains and Valleys and Rivers, Oh My!